When we were looking for a house to buy, we knew we wanted something on the smaller side. This is not because we’re big on minimalist living but because we know the hazards of owning a large home. Having more space means spending money to fill it up and decorate it. As a recovering packrat, it also means more room for me to squirrel away clutter that may someday be useful. ‘May’ being the operative word. My packrat tendencies are why I find minimalism so appealing. It’s a word that evokes clean surfaces and organized rooms. Yet, there’s much more to minimalist living than what many have come to associate with it. It’s about living intentionally with clarity and purpose. Maybe, like me, you also like the idea of minimalism and living with less, but you’re not sure what the benefits are or where to start. Although it may seem difficult at first, there are different things you can do to ease into minimalist living. What are the Benefits of Living a Minimalist Lifestyle? Before we talk about how to be a minimalist, let’s go over some of the benefits and why you may want to. While we live in a culture that values more over less, owning so much is exhausting. Every item you own requires your time, money, and attention. Just look at the self-storage industry as an example of the added cost of too many possessions. The average monthly cost of a storage unit per person in 2018 is a little more than $91, which adds up to more than $1,000 of unnecessary expenses per person per year. That’s money that could be used to pay down debt, start an emergency fund, or go on vacation. 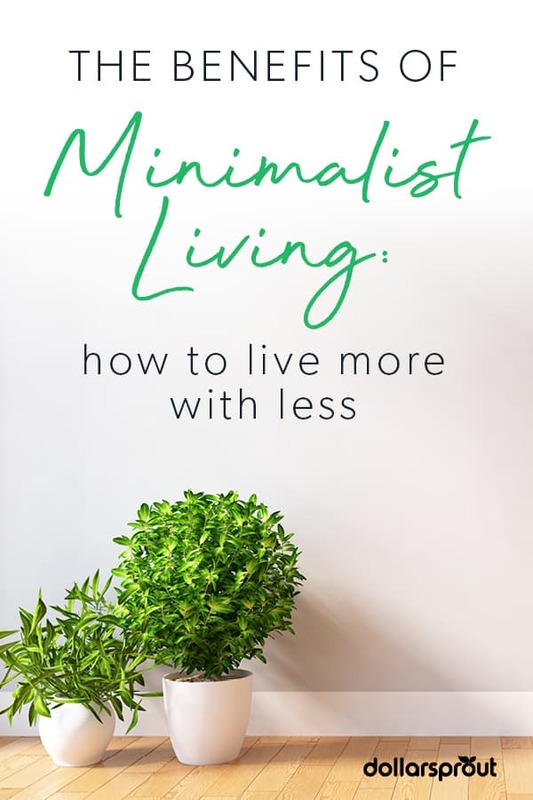 Books, websites, and movies have been made about how living a minimalist lifestyle can help you save money, lower your stress level, and find more meaning. They talk about getting rid of what doesn’t matter in your life so you can focus on what truly has meaning to you. If you’re ready to try your hand at minimalist living, you can start small and build from there. Living a minimalist lifestyle doesn’t mean getting rid of all of your possessions at once and going cold turkey to reap the benefits. Try out one or two of the tips below and decide how they work for you before committing to more changes. Ready to try minimalist living? Here are 10 ways you can add minimalism to your life without going full throttle. Change is hard, so one of the most important things you can do when trying to incorporate something new into your life is to do what works best for you. Pick one or two areas to focus on until you’ve found the right balance. Living with less and having less means more money in your pocket. It’s also a chance to consolidate and simplify your finances, which will make it easier to manage your money. 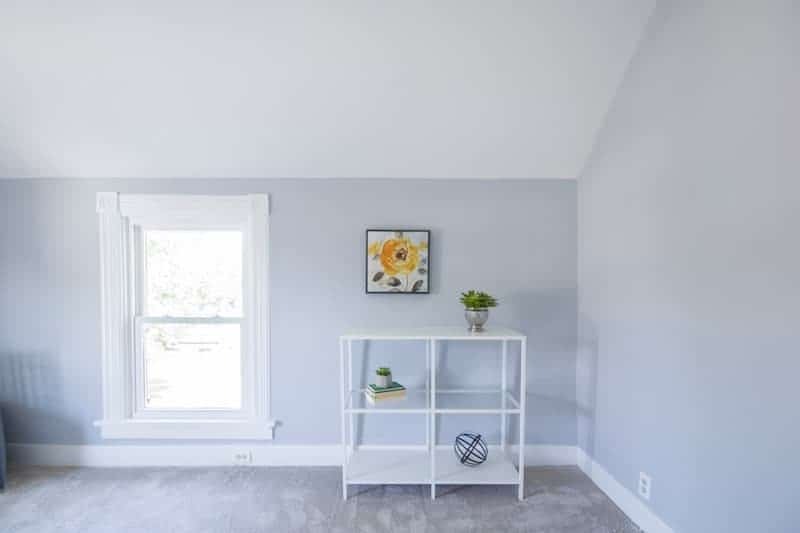 We often make money more complicated than it needs to be, so here are some ways to add minimalism and simplicity to the equation. If you have multiple checking and savings accounts, try simplifying. Consolidate all of your money into a single checking and savings account. This will help you see everything in one place while maintaining the same level of service. This also applies to retirement accounts. If you have multiple 401(k) accounts from different jobs, consider merging them all into one account. 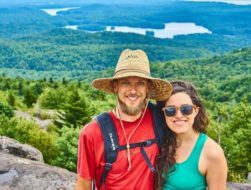 You can do this by rolling the funds over to a self-directed IRA. Not only will this make it easier to manage your retirement accounts, but it will also cut down on fees. Do you use different credit cards depending on what purchase you’re planning to make? If you use credit cards for rewards points and miles, you can end up with a wallet full of them and complicated expense tracking. Try to consolidate most of your spending to a single credit card. This will help you track your expenses better and cut out any unnecessary spending. 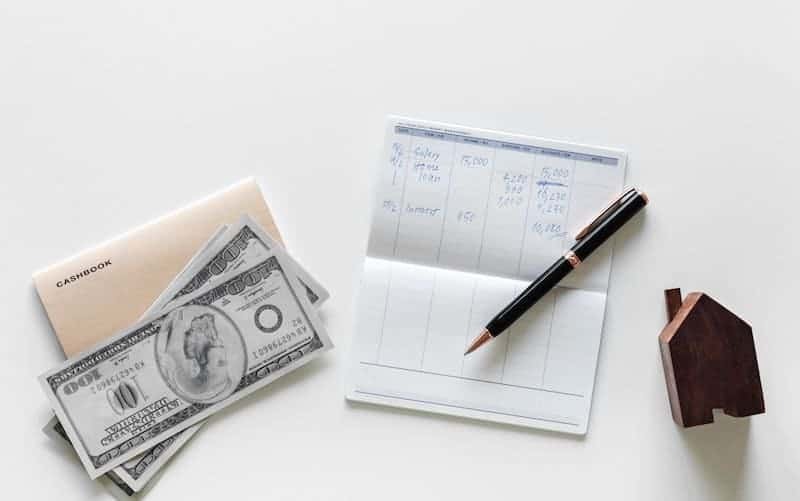 Between credit card and investment account statements and annual fee notices, financial paperwork can get overwhelming. Log in to all of your accounts and select the paperless option to help you cut down on the influx. Consolidating to one credit card for most purchases will also help. Go through any paperwork that you have and only keep what’s truly necessary come tax time. Everything else can be recycled or shredded. While this can be easier said than done, paying down your debt will help simplify your finances. Even if it takes you months or years to finish repaying your loans, just making a plan will get you on the right track. Knowing you have a roadmap for getting everything paid off will help you sleep better at night and will give your money a purpose. While you’re reviewing your spending, take a look at any recurrent expenses that you can cut out. You may be surprised to find you forgot to cancel some monthly subscriptions while others could just be unnecessary. While these may only be $10 or $15 each, this can add up over the course of the year and end up costing you hundreds of dollars. Everything is more fun when you turn it into a game. Minimalist living is no different. If you’re just getting started on the road to living a minimalist lifestyle, trying to do it all at once can get overwhelming. Break the process down into smaller chunks and make it fun by turning it into a challenge. For example, you can do a 30-day challenge where you get rid of the same number of items each day as the day you’re on. On day one, you get rid of one item, on day two you get rid of two items, on day three you get rid of three items and so on. You get the idea. This can be even more fun if you get a friend or two to join you so you can compare notes and cheer each other on. Just make sure to get the items out of your house so they don’t accidentally make their way back into your life. You can also have a packing party where you pack all of your stuff into boxes as if you’re moving. The trick is to only unpack things as you need and want to use them. After a set amount of time such as a few weeks or months, get rid of everything you didn’t unpack. For seasonal items, you can give yourself one season before doing this so you can get a true sense of what you use. Donate or sell everything else. Even if you don’t realize it, social media has a big influence on our lives. Studies show that the average person spends three hours per day just on social media. Doing a social media detox will help you reset your online usage. Opening up a social media app like Facebook or Twitter can be addictive because it helps pacify our boredom. Whether it’s a celebrity on Instagram or friends on Facebook, the people we follow can negatively or positively affect our mood. It leads to comparisons and obsessing over what other people are doing. Take a break from social media and delete your apps for a period of time — a week, a month, etc. — and do a reset. It’s a way to incorporate minimalist living by cleaning up time wasters that are cluttering up your day. If you’d like to get back to using social media after the detox period is over, decide on how to do so intentionally rather than mindlessly. Having toxic people in your life can be draining, both mentally and physically. Relationships are never easy, but toxic relationships can really hurt you and cause constant stress. 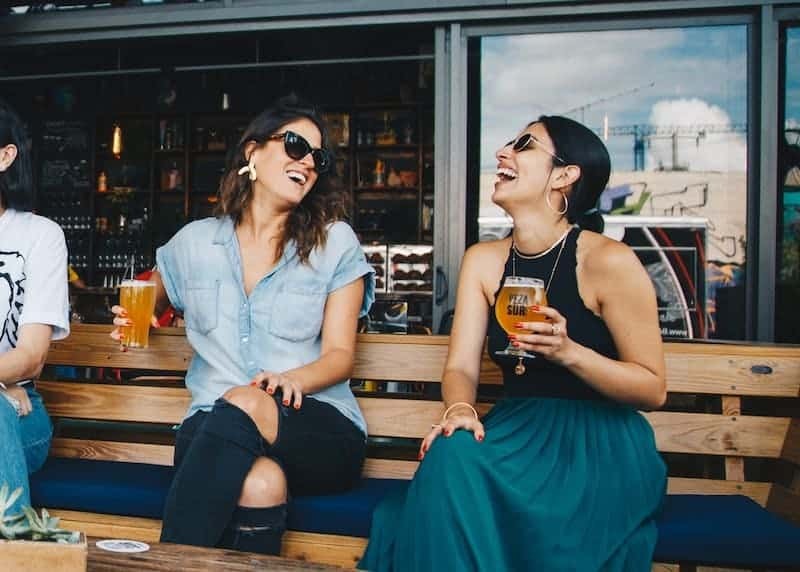 If you’re working on living a minimalist lifestyle, purging negative people will have an immediate effect on your state of mind. In many cases, this is easier said than done. However, you have to remember that you’re in control of your life and your time. Set firm but clear boundaries with the people that are affecting you negatively. You can’t please everyone all the time and you shouldn’t have to try. Cut off toxic people in your life or at last cut back on contact. One of the tenets of minimalist living is having only what you need and use regularly. When evaluating adding a new item to your life, choose quality over quantity. Buying a quality item will be more expensive in the short term but will mean spending less over time. Quality items last longer, which means you don’t have to replace them as often. For example, a quality pair of shoes will be more comfortable and will last you many more years than a cheap version. Take care of the items you purchase and they will serve you well for many years. This will also help reduce your waste, which is better for the environment. If you want an easy way to limit clutter and live a minimalist lifestyle, make a rule to help cut back on the influx of stuff into your life. You can constrain yourself by getting rid of two items for every new one you bring in. For example, if you want to buy a new shirt, you can sell or donate two shirts from your closet. This will help you cut down on the number of items you have over time. It’ll also mean being choosier with what you buy since you’ll have to get rid of two items for every new purchase. You can even make money doing this by selling your items. This will help you put money in your pocket for an item that would otherwise go in the donation pile or in the trash. A great place to get started with minimalist living is your wardrobe. Do you spend an inordinate amount of time every morning staring at your clothes, trying to decide on an outfit? Do you have a closet full of clothes but you feel like you have nothing to wear? A capsule wardrobe can help. What is a capsule wardrobe? It’s a curated and limited selection of clothing that fits you well and that you love wearing. 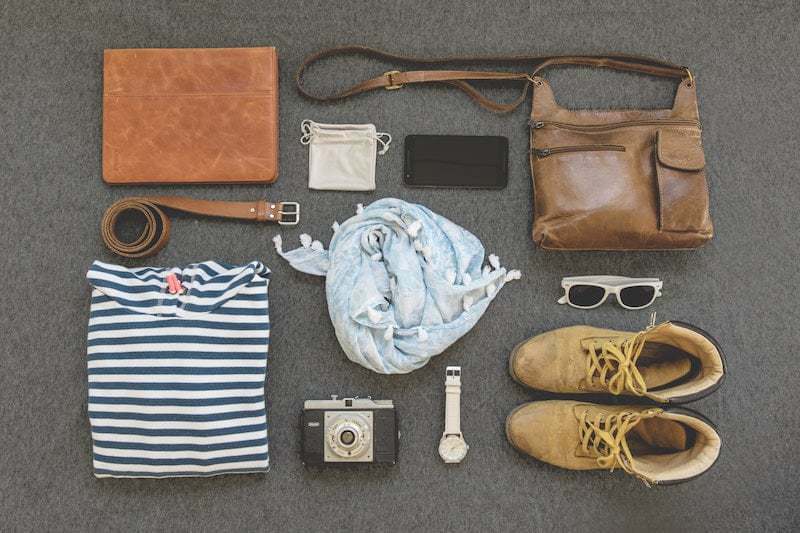 Generally, a capsule wardrobe means limiting your clothing, shoes, and accessories to 30 to 40 items. If you live in a climate with four seasons, you can create a new capsule wardrobe every 90 days to ensure you have seasonally appropriate clothing. Another way to simplify your wardrobe is to only wear neutrals such as black, white, gray, and tan. Wearing a select palette means that everything goes with everything and cuts down on the number of decisions you have to make. Another great way to move toward minimalist living is by consuming less media. The advertising industry spends billions of dollars every year trying to get us to buy the latest gadgets that will make our lives better. The world wide web is at your fingertips ready to deliver any information that you want to know. All of this can cause overwhelm and prevent you from getting stuff done. Turn off the TV, log out of social media accounts, and exit the browser. You can try a browser extension such as StayFocused to keep you focused by blocking websites you find particularly irresistible. When it comes to minimalist living, gift giving is always a hot topic, especially around the holidays. In fact, 56% of people report receiving unwanted gifts during the holidays, many of which are never even used. Limiting gift giving and receiving will cut down on unnecessary stuff and help you save money. Make a pact with your loved ones to spend time with one another instead of exchanging gifts. Focus on the meaning of your time together and on celebrating the occasion rather than on gifts. If you run into some resistance, suggest switching to experience gifts instead of physical ones. This way you still get to give (and receive) without the clutter. How important is stuff to you? You’ve probably never stopped to think about this, but stuff holds some kind of importance to you or you wouldn’t surround yourself with it. Minimalist living is not about getting rid of your stuff. It’s about getting the most value out of life and focusing on what’s important. Do a spending vs. value test to figure out what matters to you. Make a list of the 10 most expensive items that you own — your home, your car, jewelry, TV, etc. Now make another list — this one with what adds the most value to your life. For example, playing with your kids in the park, watching the sun set over the horizon, cool morning walks, spending time with family, and so on. Chances are that the two lists have almost nothing in common. Focus on what adds value to your life, not stuff. Minimalist living requires a mindset shift as much as any physical shift. It means focusing on what you value most and cutting back on the rest. Living a minimalist lifestyle is not just about decluttering and getting rid of stuff, it’s about adding as much as subtracting: add meaning, subtract junk. It’s about changing the way you think about your possessions and being more intentional with your consumption. By being intentional you reduce stress, save money, and gain more freedom. In doing so, you can focus on what brings you joy and cut out all the noise.